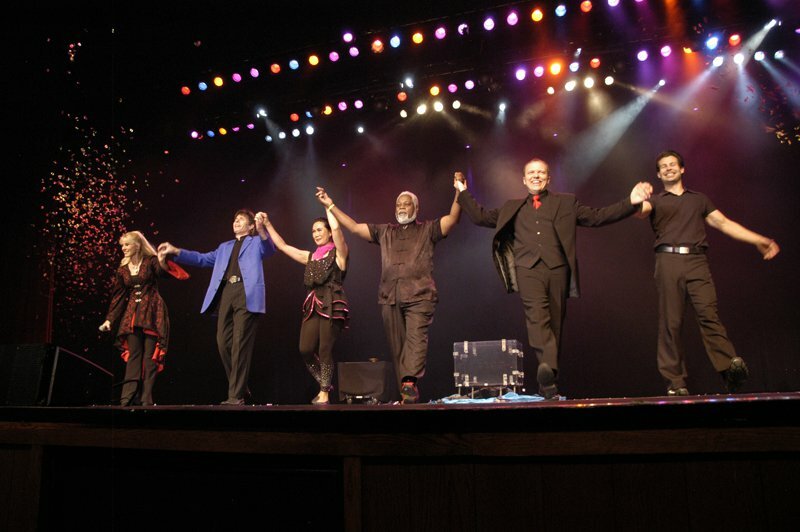 There was a lot of buzz this year for the International Magic Experience convention that was to take place at the Orleans Hotel in Las Vegas. It boasted 20+ performers in a three day experience. I took a chance when it was announced a year ago because I saw such notables as Shoot Ogawa, Ponte the Smith, Daniel Garcia and Michael Ammar, announced on the teaser website. Registration was as low as $109, it was too good to believe. I arrived at the Orleans around 1:30 AM Monday, a day earlier than I planned, to find the hotel sold out for Sunday arrivals. I walked through the Casino and was greeted by Eric Jones and Chris Capehart. I chatted with them a while but had to cut the conversation short to find someone I knew to supply me with somewhere to sleep for the couple hours before registration. I found David Gabbay in the bowling alley. He was willing to shelter me and I got some needed rest. In the morning, around 8am, I arrived at registration which was in one of the conference rooms. It was separated by groups of last names and it was very organized. I received a IMX tote bag which contained a yellow pad for notes, a couple pens, my personalized schedule I picked on the website, coupons for some of the magic vendors, a deck of cards and a small packet of M&M's. The vendor room opened up at 9am with about 14 different retailers. I looked around for a bit, making a lit of items to purchase later. This was to be the death of my budget for the month. The lectures started at 10am and I chose to attend Daniel Garcia's lecture. He called it 'Breaking the Rules with Daniel Garcia'. Before he started the lecture, he said it was OK to take pictures and shoot video as long as it didn't end up on the Internet. The lecture presented some old items such as Greed and some items from Symphony. There were a couple of new things as his effect Stretch and his utility move 'the One Point Reduction'. He had a great signed card to balloon effect with the utility move. There was an annoying issue with the camera and projector. It kept on turning off. This led to a lot of difficulty to explain the close-up effects. At noon, I attended “Wayne Houchin in Concert”. Wayne opened up with Gypsy Thread and then went into his effect Thread. He also did Sinful. He was well rehearsed but it felt more a show for lay audiences than a room full of magicians. I have seen Wayne lecture before and have known him to be a creative mind. I think that is why I was a little underwhelmed by this performance. Later I attended the IMX Opening Gala show. 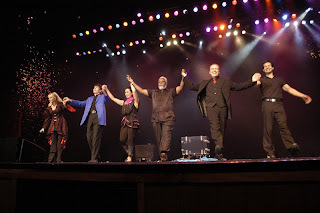 It had hosts Tim Ellis and Sue-Anne Webster introduced the acts including: Ivan Pecel a juggler from France, Boris Wild, Chris Capehart and Juliana Chen. The showroom was filled with the 300 attendees and the rest was filled with Casino visitors. Boris Wild did a tribute using linking rings. Chris Capehart made the audience bust out in laughter from his antics with the kids on stage. To close, Juliana Chen did a new levitation and a new type of substitution trunk. As if this didn't seem enough magic for one weekend, this was only half the day. I headed to Oz Pearlman's lecture next. He taught his handling of Dennis Behr's Blossom Production. He performed and taught an effect called Twist and Shake which was close to Guy Hollingworth's Twisting the Kings. His last two effects were with business cards. One mental effect called What's in a Name which was followed up with Phantom Silhouette. Scott Wells held a IMX/Magic Newswire get-together at 5:30 PM and recorded his podcast while prizes were given out by Silly Billy, Daniel Garcia, Brian Brushwood and C.J. Johnson. Scott asked what Dodd Vickers could do different things on his Magic Newswire Podcast. It was cool to see how many people had great ideas and it was nice to see the appreciation of all the people who donated products to give away. There was a IMX Dinner with the Stars scheduled at 6pm but they scheduled it at the casino's buffet and unless you were in line with all the Stars supposed to chow with you. This was a let down but not a biggie since the first day was packing in many 90 minute lectures. There is so many places that serve food in this particular casino. After dinner was the International Close-Up Gala with Helder Guimares amazing everyone with his card wizardry. Michael Ammar with his closeup and his cups and balls Simon Coronel produced Pit Hardling after his closeup coin work. Boris Wild performed his FISM winning Kiss act and Hayashi killed the audience with his matrix coin work. Before the night was over, I attended Ponte the Smith lecture. He covered a lot from his DVD but he also talked about the path a coin should travel and the inertia of the coin by demonstrating with D-Lites. He then taught a silver coin to chinese coin to tea cup and then dumped out silver coins. Skill that is almost impossible to define in words. Day two started out great especially because it started with me waking up in my own room. I was a little tired from the late night lectures and the other stuff that happens in Vegas. Nevertheless I got to attend the 10am lecture of Richard Sanders. He started out with a packet like effect called Flash Transposition and moved on to a mental trick with predicted card with an X on it and all others appeared blank. He then covered his commercial effects such as Extreme Burn, Fiber Optics and Interlaced. At noon it was time for Paul Vigil in a Closeup Concert. Paul is very practiced in his presentation. His act was a bit of mentalism mixed with some card routines. The crowd seemed to enjoy the act. I was curious of the 2:15pm talk Business of Business with Timothy Noonan. I have to say I have been in more than a couple marketing lectures but this one beet them all. Timothy Noonan poured on so much great knowledge I found myself filling up my notepad more than any other lecture. At the end, there was several of us giving him a standing ovation. He even emailed us his Powerpoint presentation. In the afternoon, around 4pm, was the Skype connection with David Berglas. David Copperfield was there to introduce David Berglas and start the first questions. Then Banachek and Richard Kaufman took over the moderation. It was a beautiful look into a legend. In the evening, it was time for the second round of the International Close-Up Gala which included Pit Hartling, Oz Pearlman, Ponta the Smith, Chris Capehart, David Acer and Stuart Lightbody. The camera work needed some improvments but the magic was outstanding. Most notable was the 'card memorization' of Pit Hartling, the unbelievable hands of Ponte and the very funny David Acer. There was a big downer that was announced during the show that the Bowling with the Stars was to be canceled because of the early rehearsal times and risk of hand injury. I was disappointed because it was always fun during the World Magic Seminar. At 10pm I went to Simon Coronel's lecture. He discussed framing and pacing of movements. He showed this in reference to a coin vanish and re-appearance. He also covered what he called The Institute of Layman Studies. This covered subjects like Feedback and Blind Narration to describe a trick back to you to make sure things are clear and not confusing. Day three started at 10am yet again but I felt I had enough of the adult magic and I decided to hit David Kaye lecture titled Six Most Important Principles. He covered comedy with children, entertaining the adults, extending the middle of an effect for an interesting ride for the children. He had clips to illustrate his presentation and a concept of interactions per minute. It was full of information that would be valuable to anyone who caters to a younger audience. After the David Kaye lecture there was a lecture called Kidding Around with Chris Capehart. I expected another lecture about kid magic but it was more of a lecture of street performing and busking. I was pleasantly surprised. He also discussed his misers dream and linking rings. I liked his crowd control and his view on tricks to be used. At 2pm was the final Closeup Gala with Richard Sanders, Shoot Ogawa,Tim Ellis, Daniel Garcia and Boris Wild. Shoot Ogawa was amazing as usual. Danny Garcia drank water containing Shoot's goldfish in it. He commented how it was the most disgusting thing he probably has done. He then performed a book test and Torn. Richard Sanders was very funny. He performed identity and some card routines. Boris performed a new version of his Kiss trick, 10 years later after Kiss. The Closing Gala Show opened with David Acer hosting and then An Halim with his wonderful card manipulations. Hayashi with a blind samuri routine that scared a BBC host who volunteered. Banachek blew the audience away with his mentalism act. I do have to say he is the best I have seen. Pit Hartling performed as his alter ego Heinz. David Acer tried to do cups and balls with garbage pails. The closed with 'next generation' Jason Bishop. The illusions were ok but the presentation was lacking. After the convention's last curtain, the organizers asked for everyone to gather upstairs.When we arrived we received a poster of all the stars of the convention and there was a table with about 30 seats were the performers waited to sign each poster. It was a nice souvenir of a super convention. I do hope they can match their wonderful results next year. tommEE pickles is a street performer in Hollywood and member of the Magic Castle.